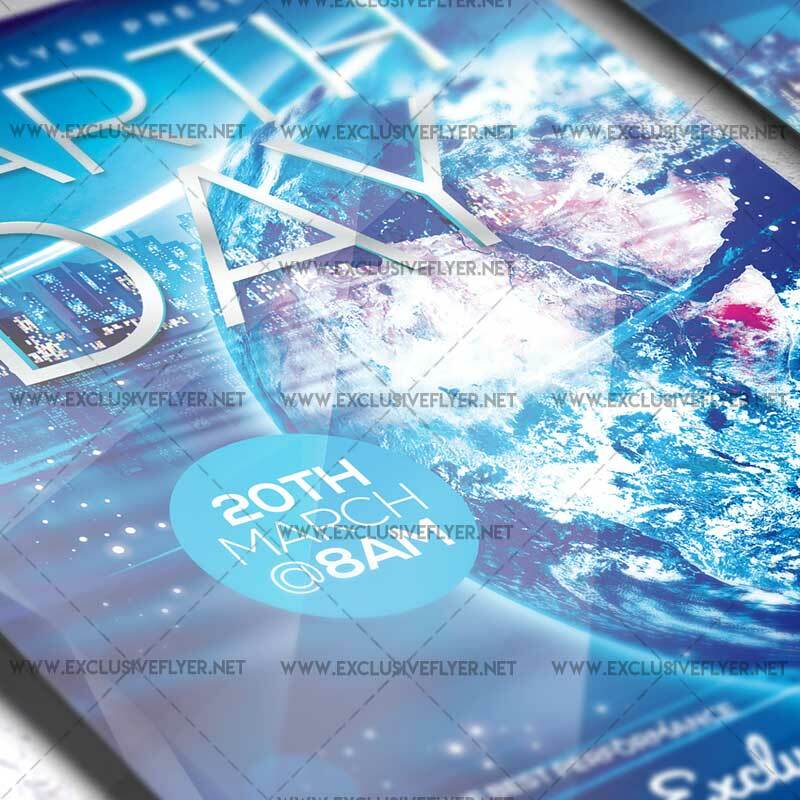 This Earth Day Celebration Flyer is the exclusive Photoshop PSD template designed by ExclusiveFlyer team to promote your Earth Day Event. SKU: 0.1344. Category: Club Flyers. 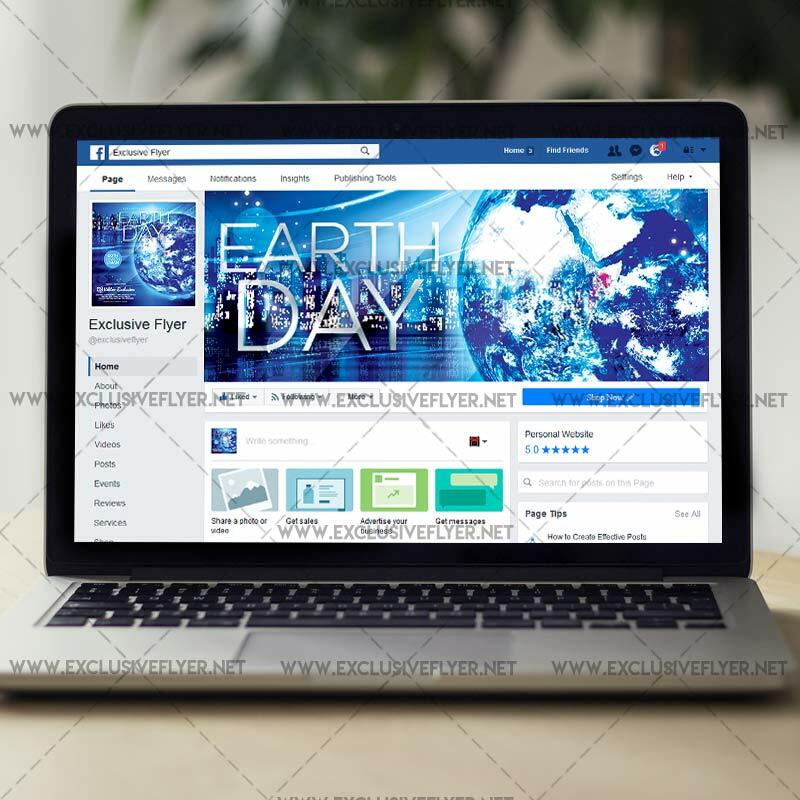 Tags: clear air, clear sky, earth, earth day, earth hour, green nature, green peace, nature. 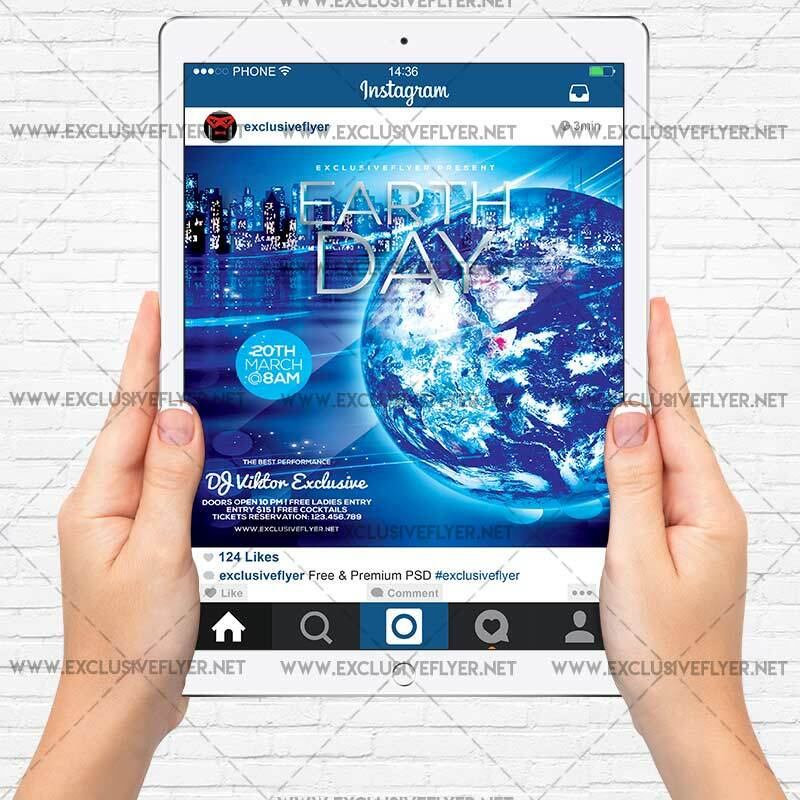 Earth Day is a global movement of civil initiatives in defense of the planet that’s why our team design this cool PSD flyer template. We celebrate this day on March 20th. 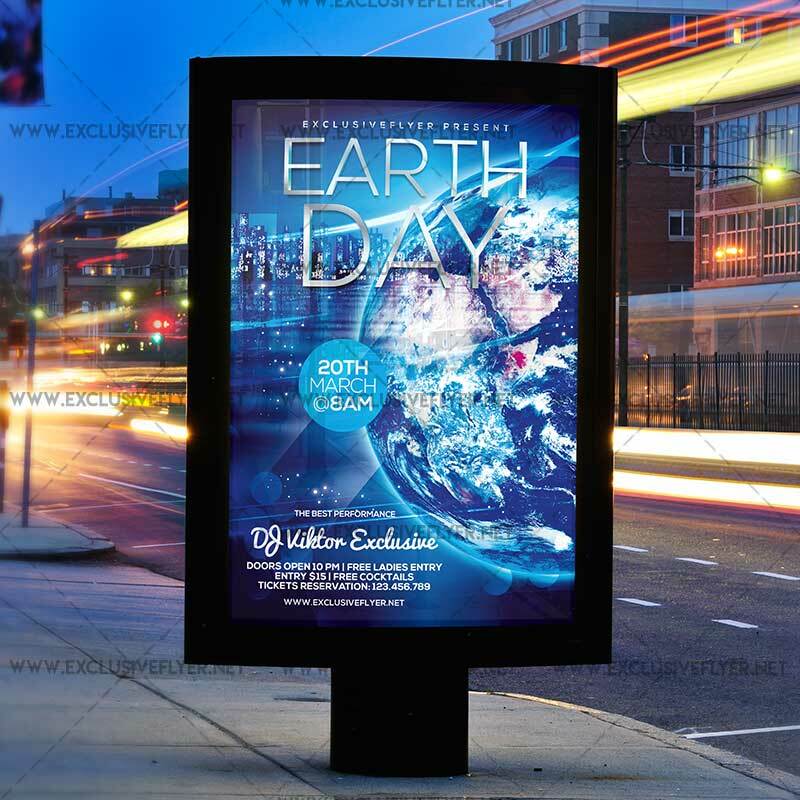 People organize environmental exhibitions and festivals, marathons and conferences about the nature, cleaning of streets and areas in cities, planting trees and stopping traffic on the busy streets of major cities, cultural events and concerts on this day. 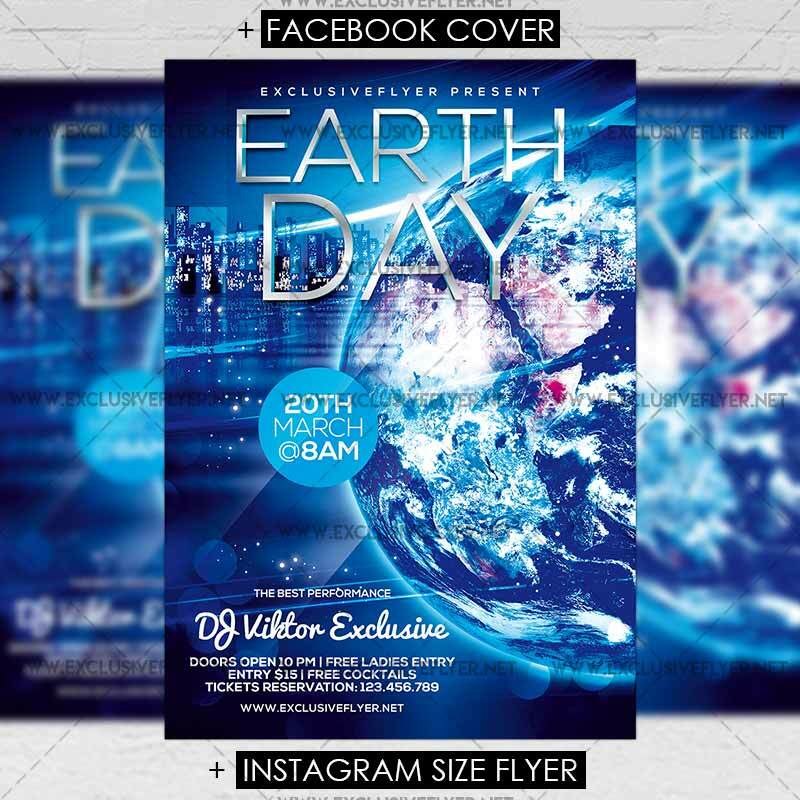 Our flyer template is simple designed with HD earth transparent image, minimalistic tittle text (very easy to edit) and a little information details. So, you can easily fix it by yourself! As you now, we have a big problem with our ecology and must make every efforts to make life on our planet more comfortable! Happy Earth Day!